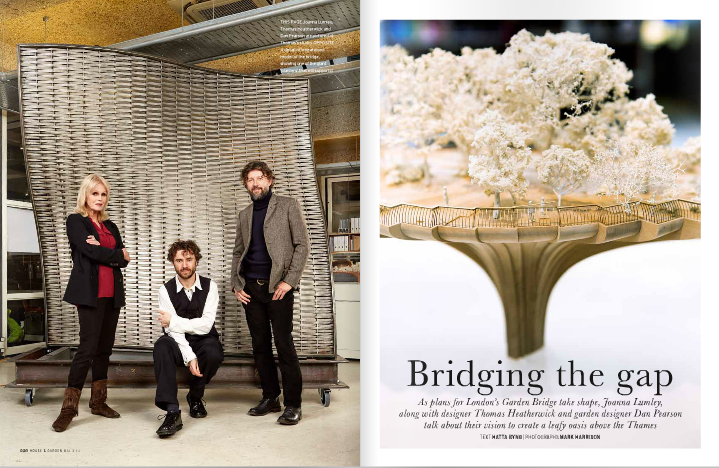 Cheered today to finally see published the images I shot some months back of Thomas Heatherwick, Dan Pearson & Joanna Lumley for House & Garden magazine. It was a pressured shoot in a tricky space-large, but concrete and with people continuing to work around our shoot. Lighting it was tricky simply because it had to look unlit to suit the style of the magazine, with each shot done under different types of light, all of which needed balancing out.